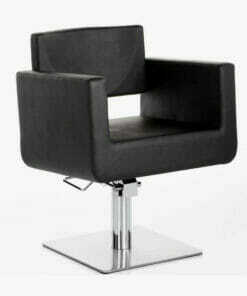 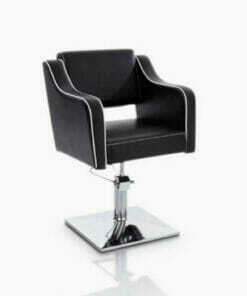 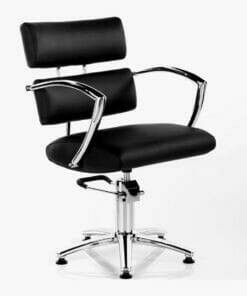 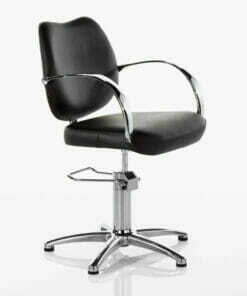 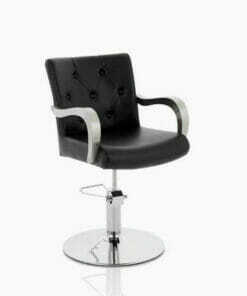 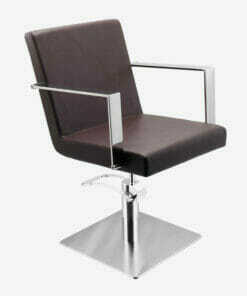 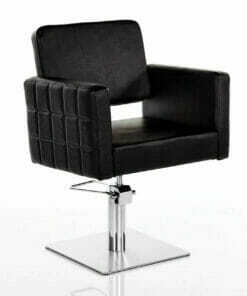 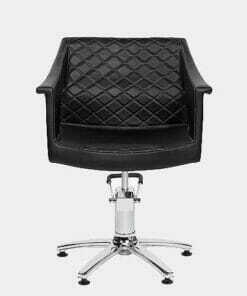 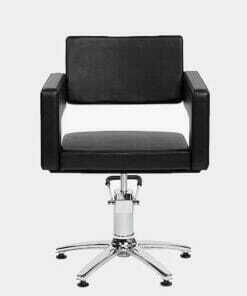 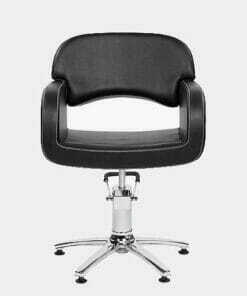 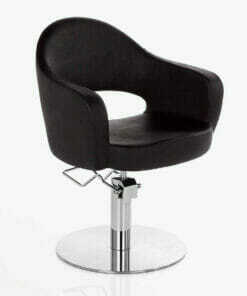 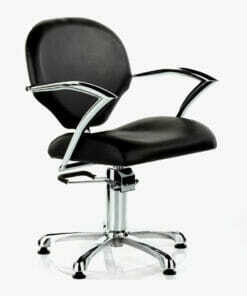 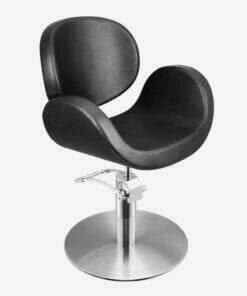 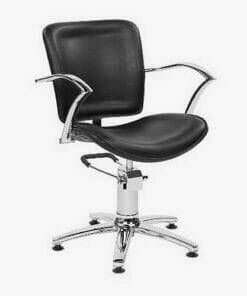 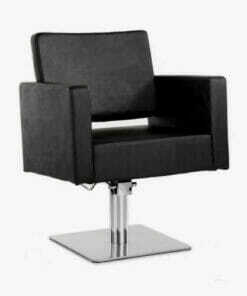 Contemporary designed professional styling chair. 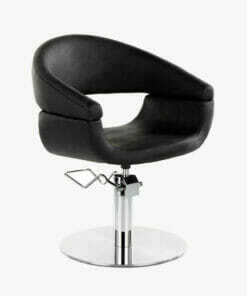 With a molded foam shape to prevent any trapped hair in the seat. 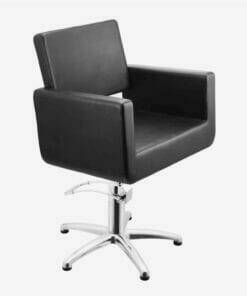 And the wide frame gives excellent client comfort. 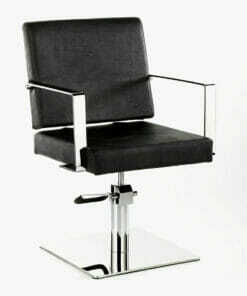 The Sabre Snake Hydraulic Styling Chair is supplied with a chrome finished square base for great stability. 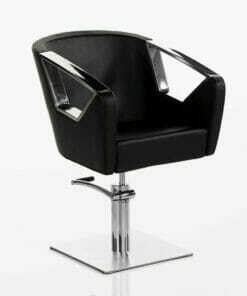 Comes complete with a locking hydraulic pump. 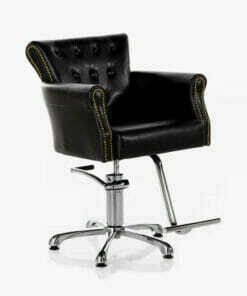 Which gives a simple height adjustment using the foot pedal. 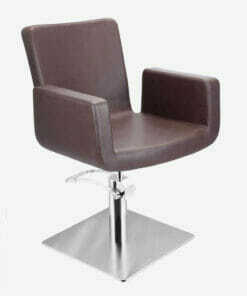 And stops any unwanted rotation during usage. 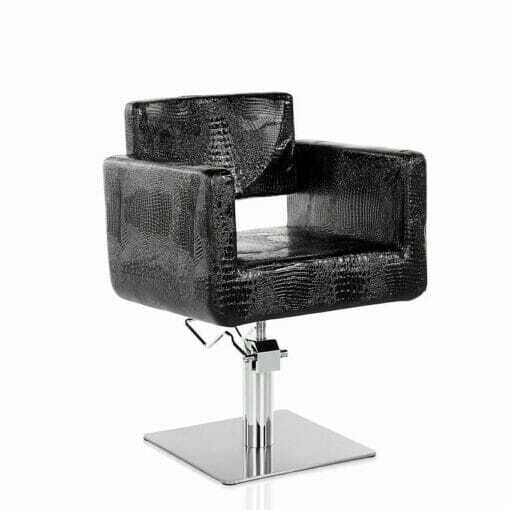 The Sabre is fully upholstered in hard wearing black snake skin effect fabric which is easy to wipe clean. 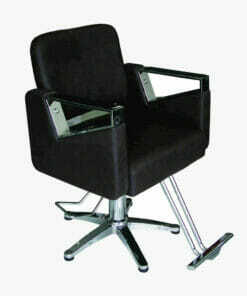 Ideal for any Hair Salon or Barber Shop environment.